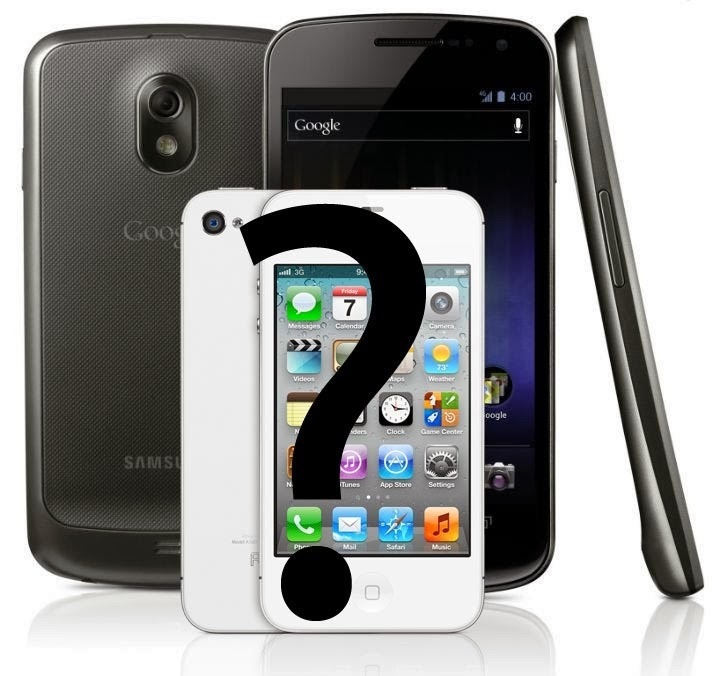 Jumping Ship: Should Android Users Switch to the iPhone 4S? When the rumor mill was at its zenith, when talk of an iPhone 5 that would come in a teardrop shape and include an expanded screen was rife, many tech heads expected Apple to slay all comers in the Android smartphone market. Handsets such as Samsung’s Galaxy S2 and the HTC Sensation were going to be blown out of the water, they asserted. The big Apple was coming. Of course, there was no iPhone 5, and as such, it would appear that rumors of Android’s demise have been greatly exaggerated. The iPhone 4S is an impressive device, but can it realistically hope to halt the inexorable rise of Android handsets? Does it offer enough to justify the price of iPhone 4S contracts? Certainly, the arrival of the 4S has pushed the old iPhone 4 into the mid-range price market, making it an attractive proposition for disaffected BlackBerry and Android phone users. Indeed, a recent study by InMobi confirmed that 52% of BlackBerry users are intending to switch to the fifth-gen iPhone, especially after this week's fiasco with their data centers. The real battle will be waged in the high-end market, however. The iPhone 4S comes equipped with a beefed-up 1GHz dual-core A5 processor (the same as that contained in the 'game-changing' iPad 2) and seven times the graphics speed of its predecessor. The new iOS 5 software, meanwhile, includes an assortment of nifty changes to keep things fresh including the messaging programme iMessenger, a blatant take on BlackBerry’s popular BBM. When it comes to competing with Android phones, the 4S has certainly done its homework. Not only is its storage capabilities greater than the Android fleet, at 64GB of internal (some Android handsets come with 32GB, though the figure is split between internal storage and a removable MicroSD chip), but it also has arguably the finest camera on the smartphone market - custom lens, improved shot-to-shot capability, 8 megapixels; if snapping memories is your bag, the iPhone 4S is putting most Androids handsets to the sword. If hardware innovation is what you value most, on the other hand, the outlook is not so rosy for Apple. Several of the iPhone’s fiercest competitors - including the Sharp 3D Aquos, the HTC Evo 3D and the LG Optimus 3D - have already surged ahead in that department, pioneering phones that boast 3D cameras and glasses-free three-dimensional screens. Apple’s decision to eschew an upgrade in screen size may also hinder their efforts to slow the Android gravy train. The 4S comes with a moderate 3.5 inch screen, while the stylish Galaxy S2 sports a generous 4.3 inch Super AMOLED Plus display. And with the release of both Samsung’s new Galaxy Nexus and HTC’s Sensation XL imminent, who knows what upgrades will have been affected in the Android armory. Clearly, Android and its standard-bearers are not worried. The latest operating system, known as ‘Ice Cream Sandwich’, will debut on the Galaxy Nexus, which boasts a blazingly quick 1.2GHz dual-core processor. The new HTC Sensation XL, for its part, is packing a refreshed interface (Sense 3.5) in its efforts to keep Apple at bay. Whether Android users should, or will, switch depends very much on what they value. If Android’s raft of cool, dynamic widgets doesn’t do it for them, perhaps the iPhone’s static icons will. Regardless of individual choice, the battle will wage on. Don’t expect a ceasefire anytime soon.